In a market this saturated, who needs another assessment? From the very beginning, we at ECHO asked ourselves the same question, and we only decided to bring ECHO to market after persuading ourselves that we have something new to offer. Before I describe precisely what sets our listening assessment apart, though, let me summarize the landscape. Personality Assessments seek to tell you who someone is. They do so by analyzing internal values, preferences, drives, and motivations in order to produce a personality or psychological profile or “type.” Familiar examples include Myers-Briggs, StrengthsFinder, Keirsey Temperament Sorter, Thomas-Kilmann Instrument, and Hogan Insight MVPI. Behavioral Assessments seek to tell you what someone does. Behavioral assessments are more modest than personality assessments; they don’t try to nail down how someone’s mind works, but they do seek to measure and provide feedback about that person’s patterns of external behavior. Common examples include DiSC, Tracom’s Social Styles, Profile XT, FIRO-B, and many 360-degree feedback assessments. Personality and behavioral assessments help reveal traits that are generally considered “fixed.” That’s useful information, but it’s also limited; after all, people can change. And that’s exactly why the third category of assessments is so important. Cognitive Assessments seek to tell you about someone’s habits, based on how their brain processes information. Because habits aren’t fixed, cognitive assessments offer far more room for exploring ways to adjust habits through training and development. Science can measure many different aspects of human cognition. Naturally, then, there are a variety of cognitive assessments on the market. Our cognitive assessment is one such tool, and it has a very specific focus. The ECHO (Effective Communication for Healthy Organizations) Listening Profile is a statistically reliable ten-minute survey that helps identify an individual’s personal listening style or habit in the workplace. Wait, What’s a Listening Style? If this is the first time you’re hearing the phrase, you’re not alone. 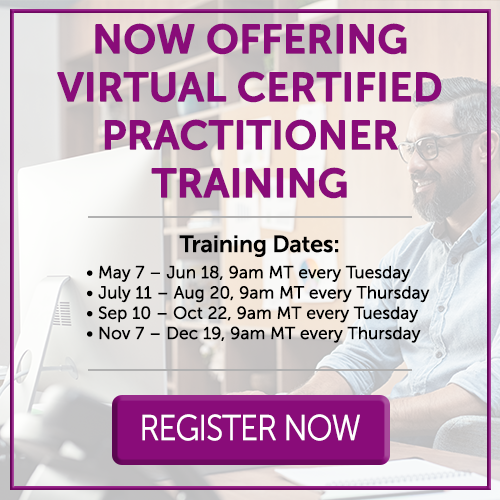 Management trainers have long recognized the value of improving organizational communication, and theories of emotional and interpersonal intelligence are now commonplace. Most of us recognize that people express themselves in unique ways, and that improving communication means recognizing our own and others’ habits of expression. Recent research has begun to show that the same is true for listening. Because our brains are not all the same, different people hear things in different ways. Sometimes, they hear different things entirely. Studies now show that we misunderstand, misinterpret, or change most of what we hear, and we do so on the basis of our own particular listening styles. At ECHO, we know that listening plays an essential role in communication. We developed our listening profile to help companies assess their workplace listening habits, enhance collaboration and performance, and create a culture that honors the individual while strengthening the group. We often think of listening as a very general skill - if someone is a “good listener,” they pay close attention, notice details, and so on. In reality, however, listening isn’t just one thing. As in other areas of human cognition, different people habitually listen to - and for - different types of information. We call these “listening filters.” If you’ve ever left a meeting and discovered that you and your colleagues all have different ‘takeaways,’ filters help explain why. When we become aware of our habitual filters, we can examine our blind spots and start listening for - and recognizing - a wider range of input. We can also begin to speak to other people’s listening preferences more accurately, boosting the chances of successful communication. This greater awareness and ability is what we call Listening Intelligence. Before diving into these filter categories, it’s important to note that these aren’t “types” like you’ll find in a Myers-Briggs personality assessment. Again, ECHO doesn’t tell you who someone is: instead, it describes their habits based on the ways their brain processes information. This type of listening focuses on what an interaction means for others. 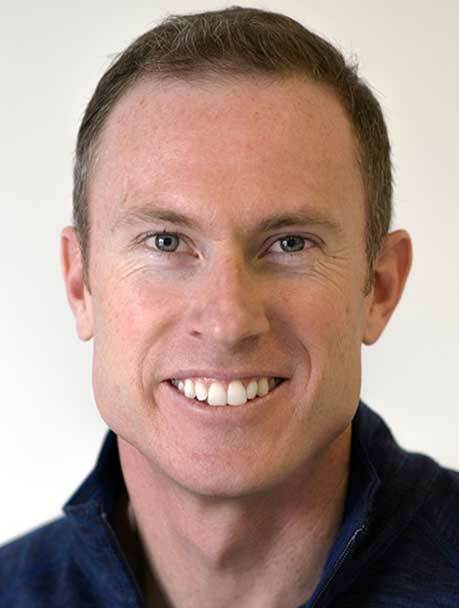 People who prefer Connective Listening tend to filter what they hear through their interests in other people, groups, processes, and audiences. This type of listening focuses on how an interaction relates to one’s own needs and interests. People who prefer Reflective Listening check information against their own library of knowledge and experience to understand how to move forward with it. This type of listening is concerned with what an interaction means to an issue or objective situation. People who prefer Analytical Listening filter what they hear through their interest in data, facts, and results. This type of listening is focused on the big picture, big ideas, and abstract thought. People who prefer Conceptual Listening tend to filter what they hear through their interest in concepts and possibilities. 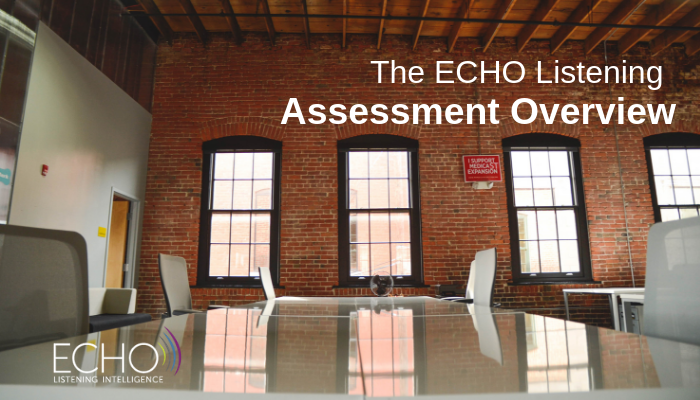 When you take the ECHO assessment, the first thing you’ll see are general scores for each of the four categories. Which listening styles do you tend to adopt at work? We then offer a more specific analysis of your listening profile. (We’ve identified 41 possible profiles, each with its own unique blend of the four major filters.) Next comes an analysis: what are the strengths and possible challenges that come with your particular profile, and how do you tend to interact with other profiles? This analysis is nonjudgmental; there’s no “best” or “right” listening profile, and every profile has strengths and weaknesses depending on the situation. In fact, each of the 41 profiles interacts with each of the others in importantly different ways. Finally, we provide a series of coaching suggestions based on your habit profile - high-level feedback about your own listening tendencies that you can put to work right away. When you’re ready, you can go even further, delving into our supplementary guidance about how to speak to the listening preferences of your colleagues. Along the way, you’ll find yourself increasingly aware of your own and others’ listening styles - and more capable of communicating clearly, sensitively, and effectively. For the last decade, companies have used the ECHO Listening Profile as a hiring, management development, and sales training tool. Armed with ECHO’s ability to identify different forms of Listening Intelligence, organizations have diagnosed their own listening habits, anticipating their effects in workplace interactions and proactively coaching employees toward more effective communication. When teams take the assessment together, they harness the listening strengths of each individual to ensure that the team as a whole becomes smarter and more productive than the sum of its parts.